It has been reported that the United Nations is funding a project to vaccinate close to 200,000 people in Haiti against cholera epidemic. The campaign will be focused mainly in the departments of Antibonite, Centre and Arcahaie where most of the cholera cases have been detected in Haiti. The vaccination campaign is divided into two phased. The first phase took place last August, with the second to begin in mid September. Born in the United States in 1775, Prince Saunders used the luck he found early in life to help blacks during a time of rampant racism and ignorance. Raised and later sent to university by George Oramel Hinckley, a white lawyer, Saunders was given the type of education coveted by many regardless of color or circumstance. At 21, after attending Darthmouth College, Saunders was helped by college president John Wheelock into a teaching position at a school for African-Americans and joined a Masonic lodge, wherein he would soon rise to become the secretary. 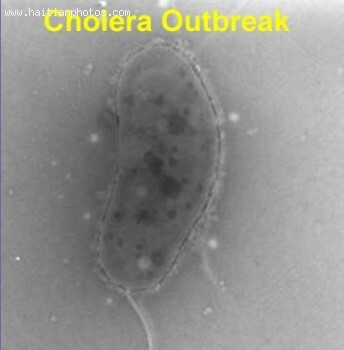 Due to the large number of Haitians who are at risk of contracting the cholera virus, the World Health Organization has decided to start a vaccination campaign in Haiti for cholera in April 2011. Ten million Haitians are currently at risk for the cholera, scientists estimated that by April, 400,000 doses of the vaccine will be available to the population and by December, close to 1 million will be ready. Teams of the World Health Organization of will start the vaccination in the Artibonite region, where the first case of cholera was reported and also in the region where most people have been affected by the disease.